What temperature do you set your thermostat? The Energy Savings Trust recommend setting your central heating between 18 and 21 degrees. But when we recently polled over 1,000 UK householders, we found that millions of UK households are setting their heating too high…. or too low. And hundreds of thousands could even be risking their health. Now let’s dig into the detail. 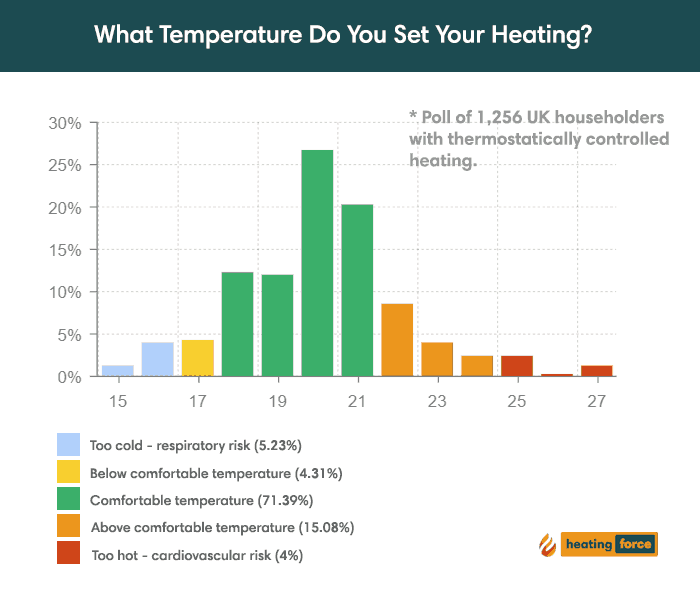 We asked 1,256 UK householders with thermostatically controlled heating which temperature they set their thermostat. We were surprised to find that almost 30% of householders were setting their thermostat outside the recommended temperature range of 18-21 degrees. And we were particularly concerned by the 9%+ of respondents who set their thermostats below 17 degrees, or above 24 degrees. According to a 1996 study by Richard Moore, room temperatures between 12 and 16 degrees risk respiratory problems, while room temperatures above 24 degrees increase risks of heart attacks and strokes. The higher you set your thermostat, the higher your heating costs will be. According to the Energy Saving Trust, turning down the thermostat by just one degree could save the average 3 bedroom home £75 per year in heating costs. 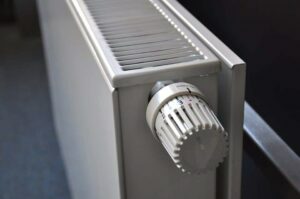 Which means that the 1.23% (or 335,000) of UK householders who set their central heating at a 27 degrees could save £450 per year by turning down to 21 degrees, and £675 by dropping the mercury down to 18. We also worked out the average central heating temperature in each UK region. 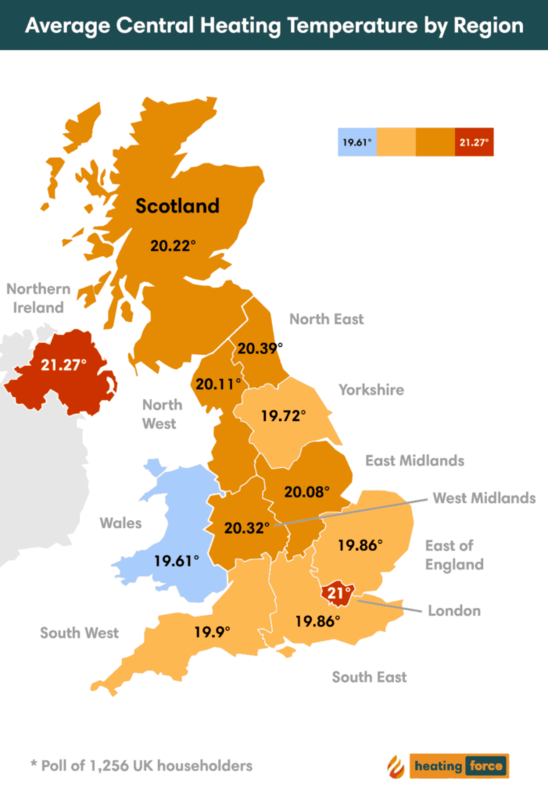 Homeowners in Northern Ireland set their thermostats the highest at 21.27 degrees, while Welsh households set their heating the coolest at 19.61 degrees. Based on the Energy Saving Trust’s estimates, this means that families in Northern Ireland could be paying £124.50 more in annual heating costs than their Welsh neighbours. There was a general trend for the heating temperature to drop the further south in the UK we go (which makes sense), although Yorkshire and London were outliers. The Energy Saving Trust recommend you set your heating to the lowest comfortable temperature, which is generally between 18 and 21 degrees. We would echo that advice. Any higher and you are burning energy unnecessarily. Any lower and you’re going to start to feel the chill in the winter. We regularly post up money and energy saving guides, like this one covering boiler installation. So, bookmark our plumbing and heating page and pop back soon!